Large Thick Heat Resistant Oven Mitt. Five layers of quilted protection on each side of the mitt provide excellent resistance to heat. 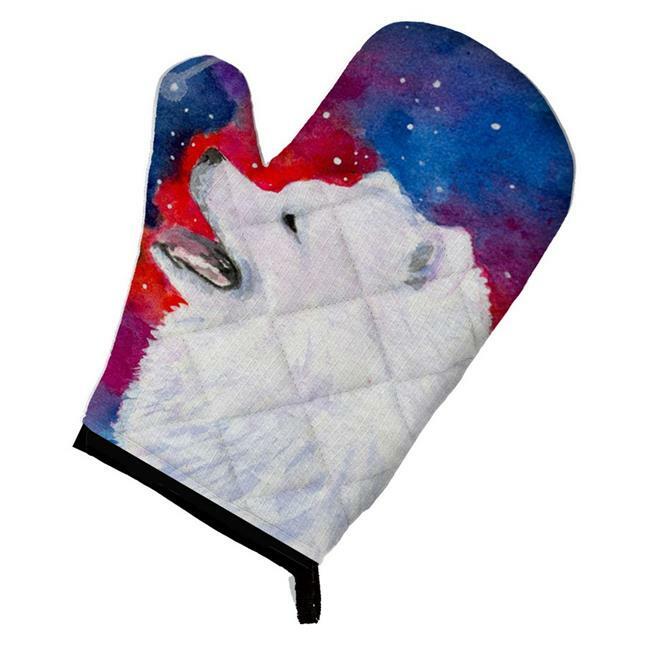 The beautifully printed artwork on the front of the mitt provides an extra statement to your current kitchen decor. Great for your favorite Mom, Chef or the best BBQer that you know. A Black bias tape trim finishes the oven mitt with a hoop to act as a hanger. This large oven mitt fits a very diverse size of hands.